-Hood type: Bee Jacket have both types of hoods – Round hood/ Fencing veil. The Hood features lining with internal reinforcements that gives its sturdiness makes it durable. 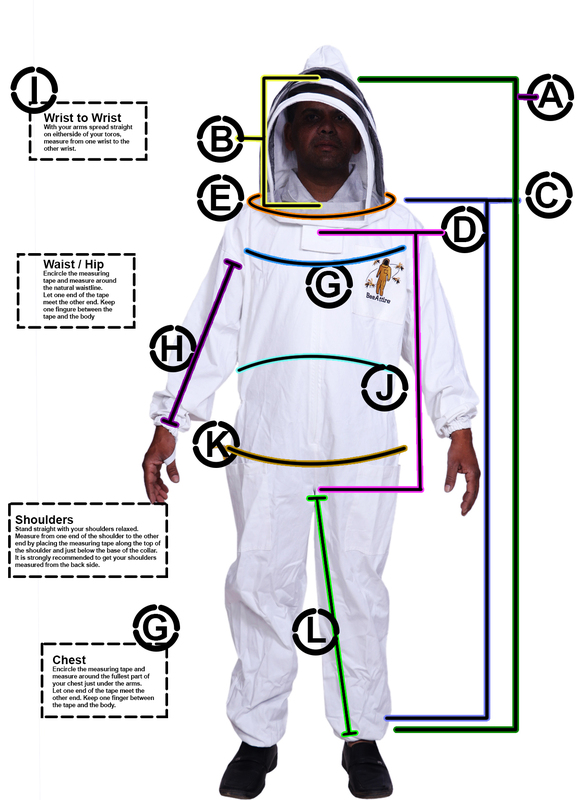 –Pockets: BeeAttire Bee Jacket have 3 pockets in number, one chest, and 2 on stomach that has enough space to easily place hive tools within easy reach. -BeeAttire all Bee Jackets have very high quality YKK Zippers with D rings. 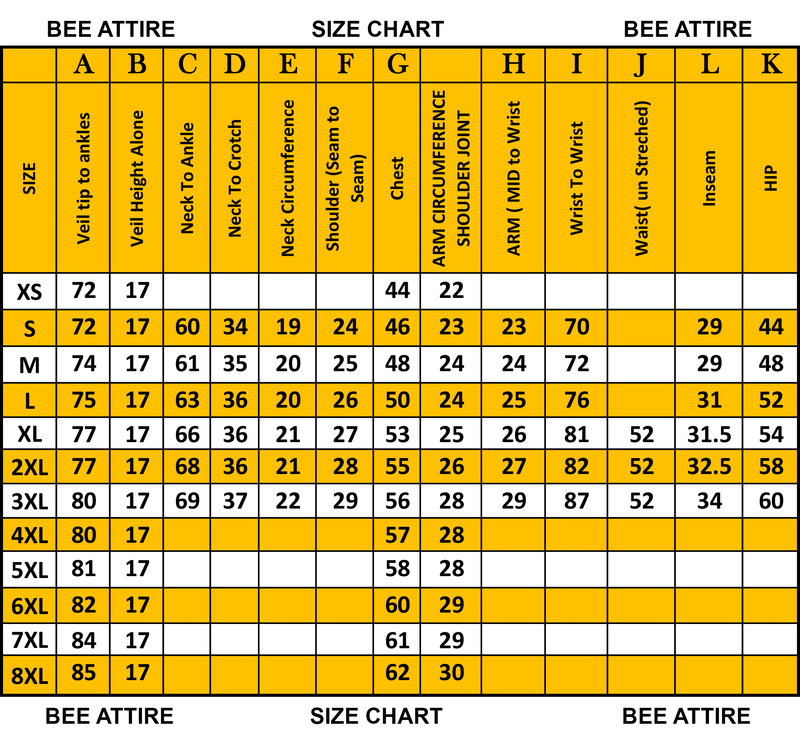 -Elastic on waist of bee jacket not allow bees to enter. -Hood zippers are two way, you can hand hood back side or you may remove hood form Bee jacket, Zippers come with Velco covers for additional protection. 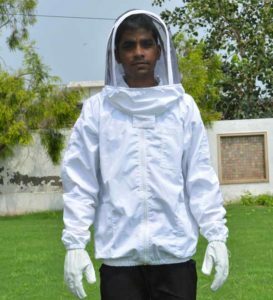 When you don’t wish to go with an overall suit but are looking for adequate upper body protection, you can opt for the Beekeeping Cotton Jacket by Bee Attire. Now, managing, attending or watching bees was never so easy and comfortable and also stylish in a way. This versatile Bee jacket is manufactured from Superior Quality 280GSM Cotton fabric which is so thick that it assures you a 100% sting protection. The Bee Attire Beekeeping Cotton Jacket is your answer to lightweight protection and comfort during beekeeping activity. 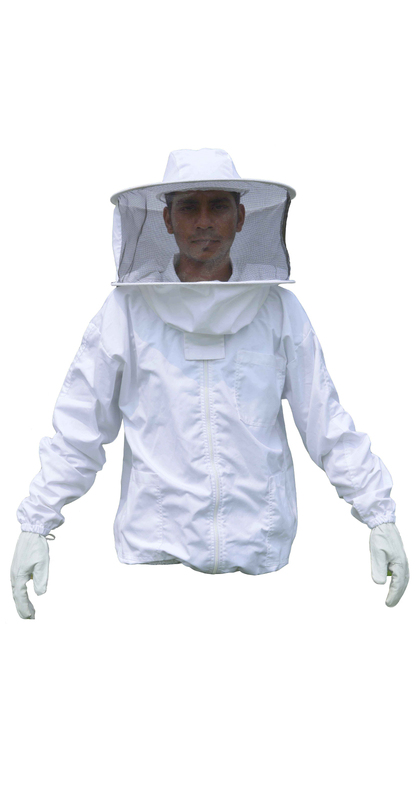 After years of research, these bee jacket is designed especially for those looking for a smarter alternative to the ventilated jackets, without deviating from their core job of protection against stings. Ideal for summer when the beekeeping work is at the peak, it is made from 100 percent cotton fabric. The elastic loops on wrists close off the arms, not allow any route for entry of bees. 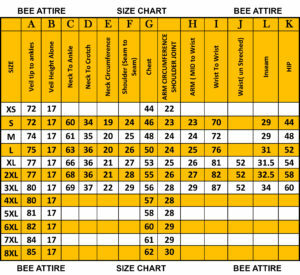 BeeAttire bee jacket is very comfortable and durable bee jacket in Industry. The Hood has a lining with internal reinforcements that make it durable and give it a shape. 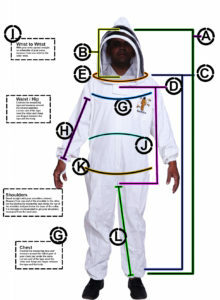 Bee Jackets is avilabe in all types of Hoods- You can choose hood type from drop menu. You can easily fit your tools in the 3 sets of deep pockets. The hood features two way YKK zippers which are high quality, and not hard wearing. The hood can be completely detached from the bee jacket using these zippers or even partially to simply hang back. The D rings on the zippers allow the jacket to be worn with leather gloves, which can also be purchased right here from Bee Attire. Buy It Right Now, Otherwise may be you loss the chance.